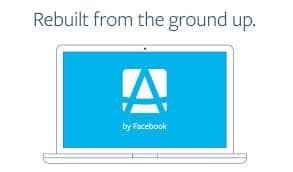 The social networking giant, Facebook has relaunched the Atlas advertising platform, which it first acquired from Microsoft last year. The company claims that it has rebuilt the platform from the ground up and also says that the feature will represent the next step in tracking effectiveness of ads across devices. Marketers with the help of this platform will now be able to track users across devices and even their offline purchases to see the effectiveness of advertising campaigns. Facebook also revealed that Atlas will focus on people-based marketing in one of its blog post.